After a busy day, unwind in your modern hotel room incorporating contemporary décor, air-conditioning, en-suite bathroom with hairdryer, opening windows, tea and coffee making facilities, refrigerator, work desk, broadband cable connection, complimentary WiFi access (up to 1GB), direct dial telephone and LCD television. For something a little more sophisticated, we highly recommend a room upgrade to one of the hotel’s Park Suites. Relax in your modern living space with a 32” LCD TV, mini stereo with iPod docking station and subtle lighting finished off with lush colours and fabrics. 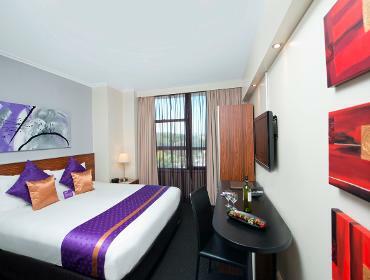 In your separate bedroom awaits a king bed, 27” LCD TV and a work desk. Park Suites are design-infused and offer original and striking interior elements – making for an enhanced stay at Park Regis City Centre. The 122 room hotel also provides 24-hour reception, security lifts and undercover car parking ($45 per day). 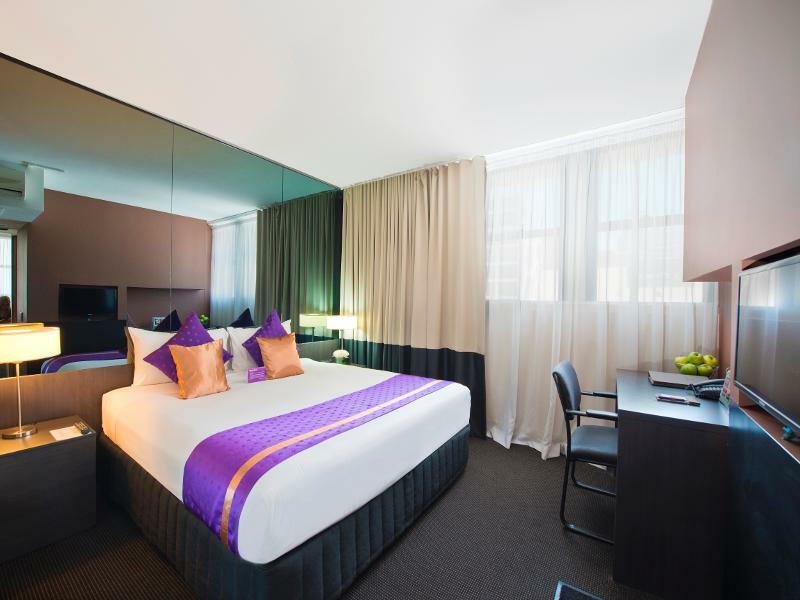 Guests staying in our 18 sqm Standard Queen Guest room will enjoy a comfortable queen size bed and a range of specialised amenities, everything that is needed for a stay in Sydney's CBD. Park Regis City Centre offers free WIFI for all guests and complimentary access to our roof top pool, which overlooks the Sydney Skyline. Guests staying in our 18 sqm Standard King Guest room will be able to unwind from a busy day exploring Sydney's local attractions in the comforts of a large King size bed. Guests will also enjoy a range of amenities, as well as free WIFI access and complimentary access to our roof top pool, which overlooks the Sydney Skyline. At 21 sqm the Superior King / Twin rooms are more spacious, and offer a partial view of the beautiful Hyde Park which is a tranquil getaway right in the middle of the hustle and bustle of Sydney city. Featuring the option of a King size bed or two Single beds, the option is yours. 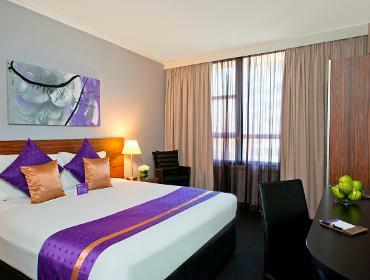 Rooms also feature a range of amenities to ensure your stay is comfortable with us. Guests also enjoy free WIFI access and complimentary access to our roof top pool. 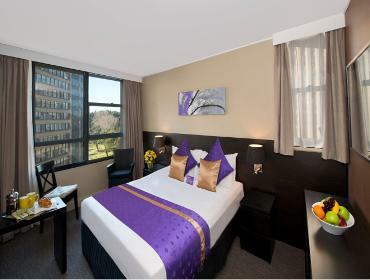 At 21 sqm the Superior King rooms are more spacious, and offer a partial view of the beautiful Hyde Park. After a busy day exploring Sydney CBD you can unwind with a stroll through Hyde Park and then rejuvenate in the comforts of a king size bed. Guests also enjoy free WIFI access and complimentary access to our roof top pool. 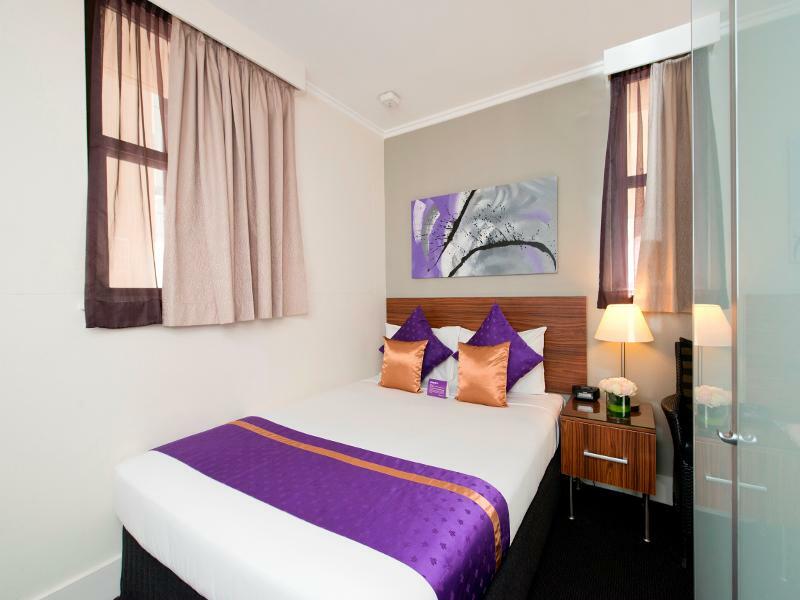 A spacious studio style room, at 34 sqm, the Park Suite provides everything you need for a comfortable stay in Sydney CBD, with a seperate bedroom and loungeroom. 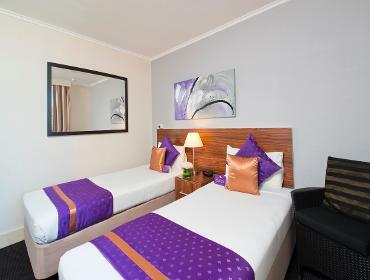 The room features a king size bed and if you have family or friends travelling with you, there is the option a pull-out sofa bed in the lounge-room. Guests also enjoy free WIFI access and complimentary access to our roof top pool. The 13 sqm Economy Guest Room will provide you with everything you need for a Sydney staycation visit. Enjoy our comfortable queen size bed and a range of amenities that will enhance your stay in Sydney's prime shopping district. Park Regis City Centre offers free WIFI for all guests and complimentary access to our roof top pool, which overlooks the Sydney Skyline. 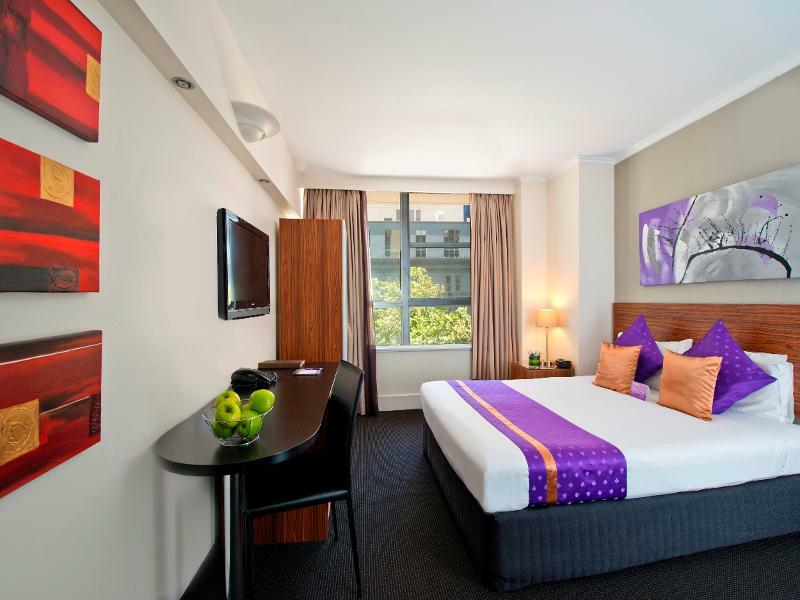 Guests staying in our 18 sqm Standard Twin (two single beds) Guest room will enjoy a range of amenities, everything that is needed for a stay in Sydney's CBD. This room is perfect for friends or family travelling together. Park Regis City Centre also offers free WIFI for all guests and complimentary access to our roof top pool, which overlooks the Sydney Skyline. Perfect for the family, Our Standard Triple Room offers more space to accommodate everyone. 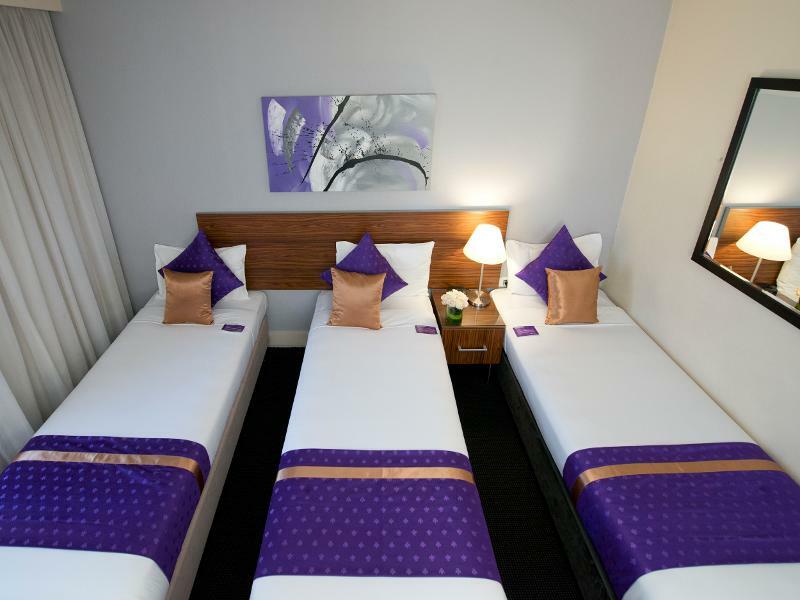 Featuring the option of a King size bed and a Single bed or three Single beds, we have you covered. The family can also enjoy the partial Hyde Park View from their room or head to the roof top to enjoy complimentary access to the pool and views of the Sydney Skyline.